SKY2 measures temperature, humidity, barometric pressure and pressure. If you add STORM, SKY2's companion device, you can also measure real-time UV, rainfall, wind speed and direction. The devices are BlueTooth and Wi-Fi enabled and powered by A/C input and/or solar panel with a lithium-ion battery backup. The installation is insanely intuitive and easy, with your devices sending data via the Internet to the cloud. BloomSky offers an app (Android and iOS) that displays your images, videos and weather data. You search and see all of the other installed devices across the world. And of course, you can share your images on Facebook, Instagram, and Twitter. Backed by a ten-year veteran creator of Internet of Things devices, BloomSky are a team of award-winning industrial designers and technologists. They have tested their idea and at the same time raised start-up funding through two successful Kickstarter fundraising rounds. That means that very soon there will be over 5,000 of these smart little weather cameras installed worldwide. What I really like about them is their unique approach to tap into the ‘community effect’ online. Increasingly, digital communities are becoming a valuable tool for reconnecting with your local physical community, while at the same time allowing you to share with friends and family all over the world. It is both local and global. 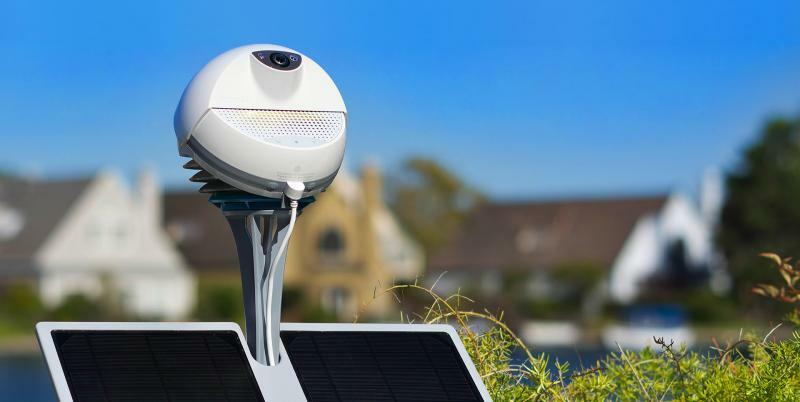 Add to that the unique selling point of the camera which delivers a nowcast image feed back to the BloomSky online community and you have an engaging visual tool for sharing your personal weather story, bundled in a cute and affordable package.